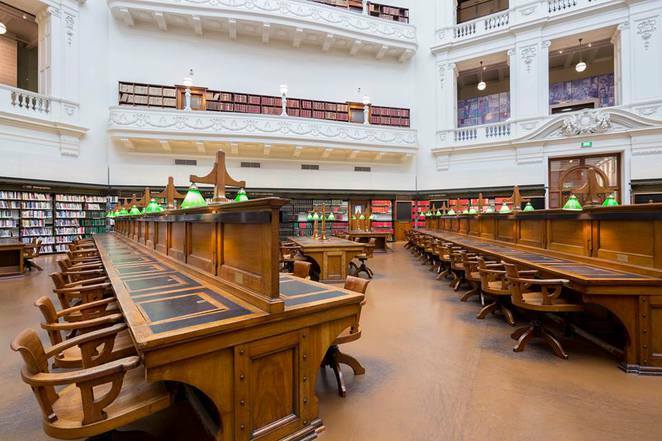 If you can secure a place for one of these free State Library of Victoria tours they are absolutely fascinating. The State Library is of course huge, but even so, you normally only get to experience the tip of this massive building and its ginormous collection. All the good stuff is behind the scenes. Miles upon miles of storage. This tour is a rare opportunity to see behind the facade. You get to see the collection storage areas that are not normally open to the public. You also get to climb the stairs for an aerial view of the reading room from the Library's 6th floor. You will be surprised by how many famous writers, such as Helen Garner, who have written their books or been inspired by the Domed Reading Room. (In fact like many writers, I am using the Domed Reading Room to work, even as I write up this piece). Or how about visiting the original Melbourne Museum catacombs. 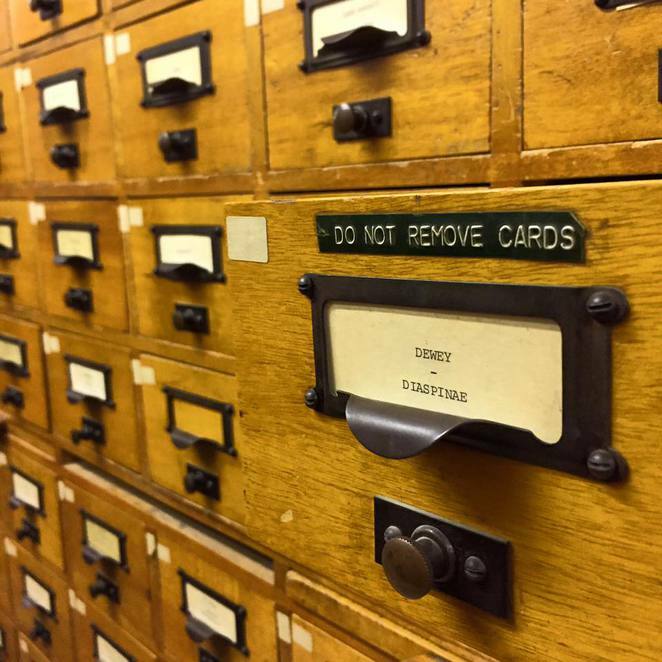 Some of the index cards in here date back to 1884. Up until the State Museum moved out in mid-1997, exhibits not on display - mummies, bones and taxidermists' handiwork - were stored here. 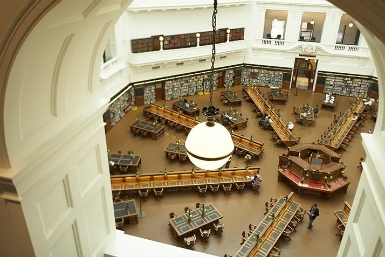 Facebook image State Library of Victoria. I like the way Dewey still gets pride of place. In 1996, staff even discovered two stuffed birds from Charles Darwin's collection of the samples he collected on the 1830s voyage of HMS Beagle around South America. This tour is on every once in awhile but is so popular it books out fast. So try and organise yourself as soon as you can. They have added new Nov tour dates to this event and at the moment (Oct 5) there are still places available.